Helping Your Business Grow Don’t have a Harvard MBA? You're not alone. Most successful entrepreneurs started out with what seemed like a good idea and ended up running a business of their own. How can you learn to manage the business side of business? Read, study, ask lots of questions, and seek out sound advice from your tax, legal and financial advisors. You can also turn to us to discuss how we offer can help you attract and keep key people with compensation packages to support your business growth plan. Business Continuation Planning As a business owner, you are the lifeblood of your organization, the driving force behind its success. Have you considered what will happen to your business when you are ready to retire? Do you have children or other family members ready to continue the family business? Or is there another successor in line who will be able to pick up the reins? Business owners have long relied on Buy Sell Agreements or somotimes called Business Wills. A buy sell agreement can be effective only if it is properly written. Most of all, if you died prematurely or became disabled, will the business you worked so hard to build be able to continue...and will your family be financially provided for? Tough questions, yes, but ones you need to ask. Retirement/Estate Planning One of the nice perks of being self-employed or a business owner is that you don't HAVE to retire. You're a doer. You like to make decisions and see results. But maybe someday -- perhaps when you're 65, 75 or older - you just might WANT the option to trade the fun and frustration of work for golf, gardening, vacationing with the grandkids or sitting back and relaxing with family and friends. Just as important, you also want to have all your ducks in a row, so to speak, when it comes to making sure your loved ones are well provided for in the future. Neither of these goals just happens. They are the result of decisions you make today. That means retirement planning and estate planning – mapping out a strategy to create options for you and for your family. Fortunately, there are more retirement and estate planning choices available today than ever before for business owners and those self-employed. We are here to help you begin the process of planning. As the old saying goes: Those who fail to plan...fail. Life Insurance for Risk Management As a business owner, you live with risk. That's the nature of business. You take on risk when you borrow money to expand, launch a new product or service, hire a new employee, extend credit to a customer. There are dozens of risks in business...and few guarantees. 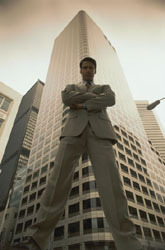 Successful business owners, therefore, work to minimize risk, so they can focus on meeting their objectives. Life insurance is a risk management tool. For instance, if your company invested in new facilities or new vehicles, you would insure their value against the danger of theft, fire and accident. In the same way, life insurance can help protect the value of key employees to your business, reduce the risk that a loan might default if something happened to you, and, most of all, reduce the risk that your business and your family would suffer financially if you did not live to see your long-term plans completed. Employee Benefits Finding quality employees is half the challenge. Keeping them – and keeping them well motivated – is the other half, especially in today's tight labor market. One way to do that is to provide competitive benefits. I know, when many small business owners hear the words "employee benefits," they immediately think, "one more expense I can't afford!" If this sounds like you, you might want to think again. Two reasons: (1) Carefully selected benefits can help reduce costly employee turnover, boost morale and, in turn, help assure your company's stability and productivity. (2) Benefits need not cost you an arm and a leg. For example, a voluntary payroll deduction program lets workers – including you as an owner-employee – acquire valuable benefits at virtually no cost to you. There’s a fatal flaw in the retirement of many small business owners: After pouring a lifetime of sweat, time and capital into building the business, their rough-sketch strategy is to sell out someday for a ton of money… then settle back and enjoy a financially secure retirement. Many business owners are so sure this will happen that they don’t bother to make any other retirement plans. Who is this person who, at just the right moment, is going to show up with cash in hand to buy the company… and pay a fair price? For thousands of small business owners each year, no one steps forward. Perhaps the business is too specialized or is tied too closely to the owner’s unique personality and skills. Or perhaps possible buyers equate retirement sale with distress sale and make only low-ball offers. Whatever the reason, many owners find that their company has suddenly become a white elephant that nobody wants. Groom your own replacement, someone who will buy your company when you’re ready to retire. Maybe this person is a current co-owner (but be careful if he or she is about the same age as you, who will be counting on retiring around the same time.) Or it could be a son or daughter active in the business, or a younger key employee. They are cautious. They make sure their heir apparent is the right person in terms of temperament, personality, competence and personal goals. They set up a probation period so they can terminate the relationship if they find this person simply will not work out. During that period, they keep everything informal, strictly verbal. At the same time, even when they go to a formal agreement, they make sure it contains a termination provision. They fashion golden handcuffs and incentives to ensure that their replacement stays until the baton is passed. An ambitious successor needs and deserves gradually increasing authority and benefits. 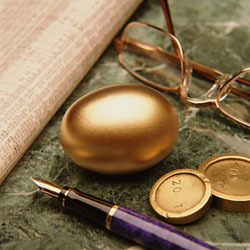 Options include deferred compensation or the opportunity to acquire partial ownership prior to their retirement. Both parties need something to win by sticking to the agreement…and something to lose if it falls apart. They put it in writing, along with the help of their attorney—locking in who does and gets what, and spelling out all details and caveats, including how to establish the final valuation of the business. This formal buy/sell agreement protects everybody. They have a back-up plan. As a business owner, you know that very few things go exactly as planned. What if your business hits tough times or your successor dies, becomes disabled, or—all to common—leaves because of a personality conflict? Or what if there simply is no heir apparent waiting in the wings? Sometimes, it’s simply best to dismantle the business. Whether or not you have a possible successor for your company, you should begin mapping out your retirement strategy today. Your insurance professional or your independent professional advisors can help you develop this kind of business strategy. For further information on how insurance and other financial products can be used in business planning, please contact us. contact us button to e-mail us.